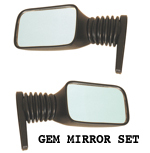 NEV Accessories is a manufacturer and distributor of parts and accessories for Polaris GEM Car & Ford Think electric vehicles. We have a large selection of wear items (i.e. 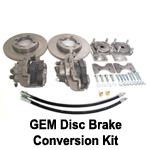 brakes and cylinders) and other replacement parts for GEM cars and Ford Think electric vehicles. 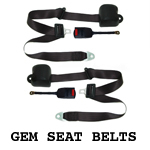 We also manufacture electric vehicle accessories, such as, GEM car ladder racks, clip in stake beds and service tool boxes. 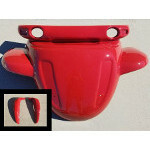 We have multiple colors of GEM Hoods and Mud Guards in stock! Please visit and like our Facebook Page to receive special sales upates! 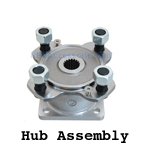 Click here for more information on this product in our website catalog. 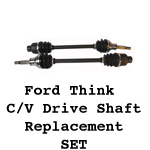 NOW IN STOCK: FORD THINK DRIVE SHAFT REPLACEMENT C/V SHAFTS! 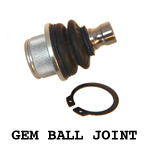 Get rid of the bad U-Joints and replace your Drive Half Shafts with C/V Joint units! The old Ford Think U-Joint design left spline shafts open to moisture which caused them to rust and not move. The new direct replacement C/V shafts are weather protected and are better performing! 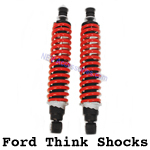 Get a set of two C/Vs for less than the price others sell one "used" U-Joint drive shaft.